Below is a comprehensive list of hotels in Runswick Bay. Use the sort links to refine your search or to find featured accommodation in Runswick Bay. Many of our hotels in Runswick Bay feature no booking fees and best price guarantee when booked through the Pictures of England website. To list your hotel in Runswick Bay, click here. Seacot is a holiday home situated in Runswick, 10 km from Whitby. The property is 36 km from Scarborough and features views of the garden. 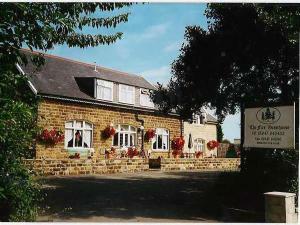 There is a..
Offering a sun terrace and views of the garden, The Firs Guesthouse is situated in Runswick. Free WiFi is provided throughout the property and free pr.. 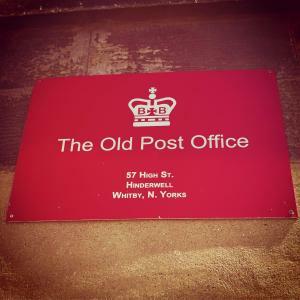 Between Whitby and Saltburn, The Old Post Office Bed and Breakfast offers accommodation on England’s north-east coast. In the village of Hinderwell,.. The Ellerby Country Inn is located just 8 miles from Whitby and 12 miles from Saltburn-by-the-Sea on the North Yorkshire coastline. It offers en suite.. Featuring a garden, 22 Long Row is a holiday home located in Hinderwell. The property boasts views of the garden and is 12 km from Whitby. The kitche..
Mount Lea is a holiday home situated in Hinderwell in the North Yorkshire Region and is 13 km from Whitby. The property boasts views of the garden and..
Felicity Cottage is a holiday home located in Staithes in the North Yorkshire Region and is 13 km from Whitby. The property is 39 km from Scarborough .. 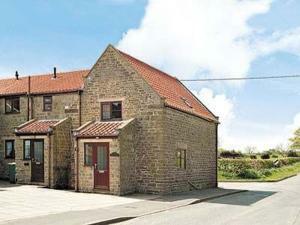 Located in Ugthorpe, this holiday home is 11 km from Whitby. The property is 36 km from Scarborough and free private parking is featured. The unit is.. Located in Staithes, this holiday home is 14 km from Whitby. It provides free private parking. There is a dining area and a kitchen equipped with ove..
Spinnaker is a holiday home with a garden, situated in Staithes. The property is 14 km from Whitby and boasts views of the garden. There is a dining .. The Anchorage is a holiday home situated in Staithes, 14 km from Whitby. It provides free private parking. The kitchen is equipped with an oven, a to..
Bosuns Rest offers pet-friendly accommodation in Staithes. The property is 14 km from Whitby and boasts views of the garden. The kitchen is equipped .. Situated in Staithes in the North Yorkshire Region, this holiday home is 14 km from Whitby. It provides free private parking. The kitchen comes with .. 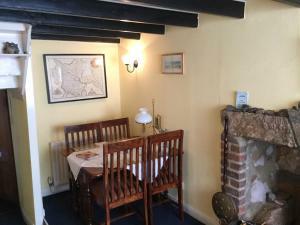 Sunny Cottage is a holiday home situated in Staithes, 14 km from Whitby. The unit is 40 km from Scarborough. There is a dining area and a kitchen. A .. Situated in Staithes, this holiday home features a barbecue. The unit is 14 km from Whitby. Free WiFi is provided throughout the property. An oven an..
Set in Staithes in the North Yorkshire Region, this holiday home is 14 km from Whitby. The unit is 40 km from Scarborough. An oven, a toaster and a r..
Spangle Cottage is a holiday home located in Staithes, 14 km from Whitby. The property boasts views of the sea and is 38 km from Scarborough. 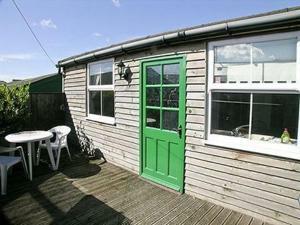 Free WiF..
Set in Staithes in the North Yorkshire Region, this holiday home is 14 km from Whitby. The unit is 40 km from Scarborough. Free WiFi is available thro.. Situated in Staithes, this holiday home is set 14 km from Whitby. The unit is 40 km from Scarborough. There is a dining area and a kitchen as well as..